Backpack Becky: Dublin, Top o The Morn! Dublin, Top o The Morn! The phrases ‘good crack’ and ‘it’s grand’ spring to mind when thinking of Dublin, not only because of the Irish lingo but the fact that Dublin is a great place to visit, to party, and to soak up the culture. I've spent a few weekends in Dublin, but apart from spending the majority of my time drinking, I can't detail too much on every corner of the city, but there is enough here to cover the highlights and a decent trip across the water. Flights from the UK to Dublin come as cheap as £30 so not a massive cost there, the same goes for hotels. I have stayed at the Ardmore which was about a twenty minute bus ride from town (€20 taxi on a Saturday night) and it came in at an impressive £25 a night for a few really nice rooms. I've also stayed at the Ballsbridge Hotel which was a fair walk to the centre, or a short bus/cheap taxi. Hotels aren't the cheapest, but what do you expect from a capital city. But there more and more Air BnBs cropping up all over the city. Second to the Guinness Storehouse is the Jameson Whiskey factory. Again, you need to pre-book a tour which is about €15 and it's best to book the day before. The tour was just average when I visited with a few friends and we didn't actually learn up until the start of the tour, that they don't even make whisky at this particular Jameson site anymore. About a 30 minute tour in total and you get a few tasters at the end with your own mixer. Another must see is Kilmainham Gaol which is a former prison, most famous for its role in Irish independence. You need to book in advance for a tour around, which is the only way to see this historical sight. The first time I came to Dublin, it was fully booked the whole day. Booking online is easy, or can be sometimes done a few hours before you visit, depending on which day you go. The tour was well worth it and very factual. You had your own time in certain parts to explore particular rooms, especially the main room which was quite a spectacle. A few other places which are worth your time are The Natural History Museum, The Dublin National Gallery, and Dublin Castle. The Natural History museum and Dublin National gallery are both free, therefore easy to spend a few hours of your time. I can't remember too much from Dublin Castle but it does cost to go in but you can wander a certain aspect of the castle ground for free. Vast amount of food places, and not as expensive as previously heard. 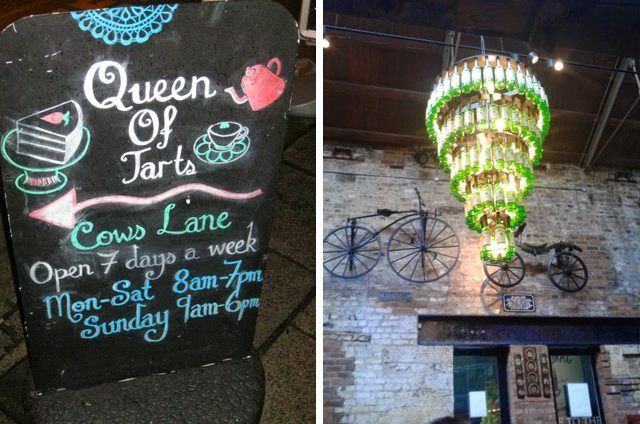 A personal favourite was the Queen of Tarts, a cute set of cafes spread in the centre of the city perfect for lunch, coffee, etc. Drink-wise, you certainly won’t go short in Dublin. Temple Bar is the tourist hotspot full of bars and clubs, filled with locals and tourists alike. One particular Irish pub I remember going to was O'Donoghue's pub which is a proper Irish pub. By proper Irish I mean a cramped pub, with plenty of Guinness and plenty of friendly locals. 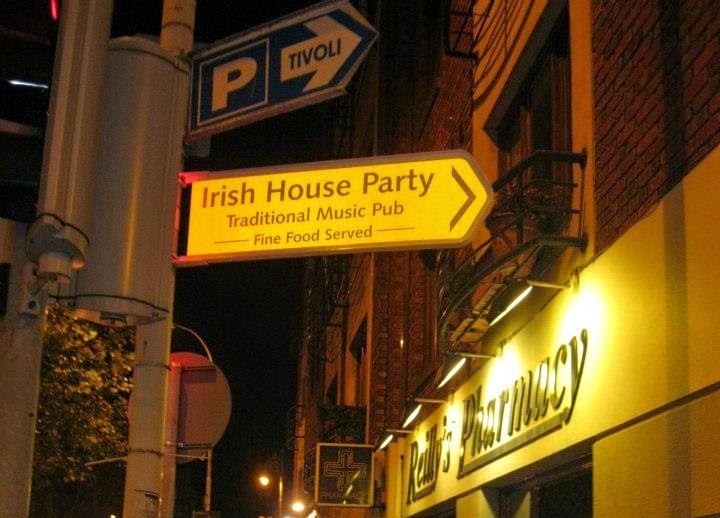 If you're new to the city, and Ireland in general, then I would recommend a type of gig/theatre night called The Irish House Party. An event like this gets you into the Irish spirit and also gives you plenty of time to go out afterwards. The Irish House Party consisted of a small theatre and a small stage of five Irish folk, all playing different Irish instruments. They were full of banter, good tunes, and even the odd Irish jig. The night was a mix of songs, dancing, jokes and a bit of a music lesson. Overall Dublin lives up to its 'good crack' and grand persona. A city which can be done cheap, but also not as expensive as made out if you want to go out every night, stay in hotels and eat in restaurants. Expect cheaper than London but not too far removed from that price mark. Great city, and with such cheap flights, I'm always in a rush to go back.